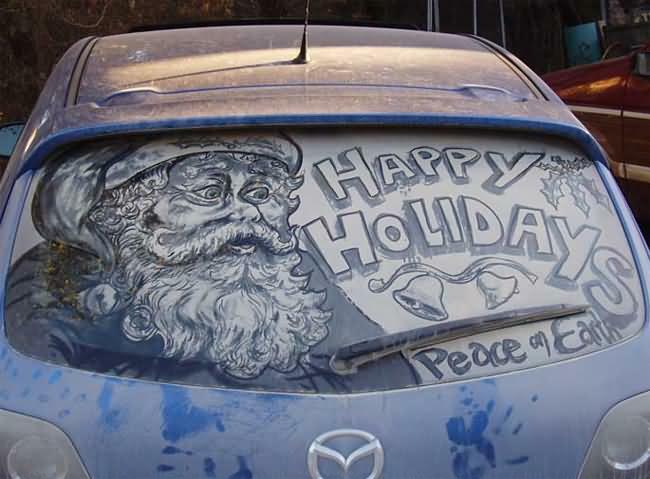 Like everyone else Scott Wade sees a dirty car and he just can't resist drawing on it. 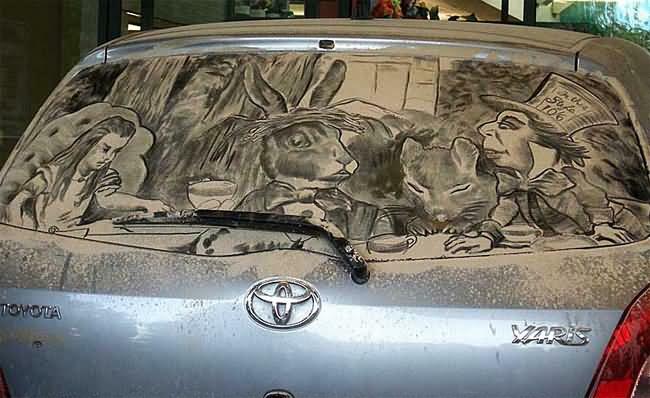 But his artworks are unusual. 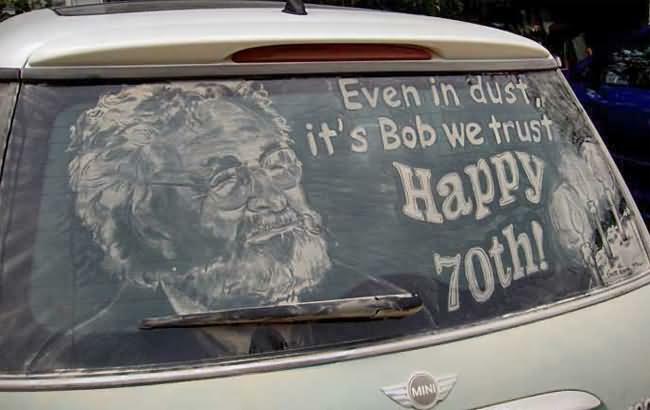 You may thing why? 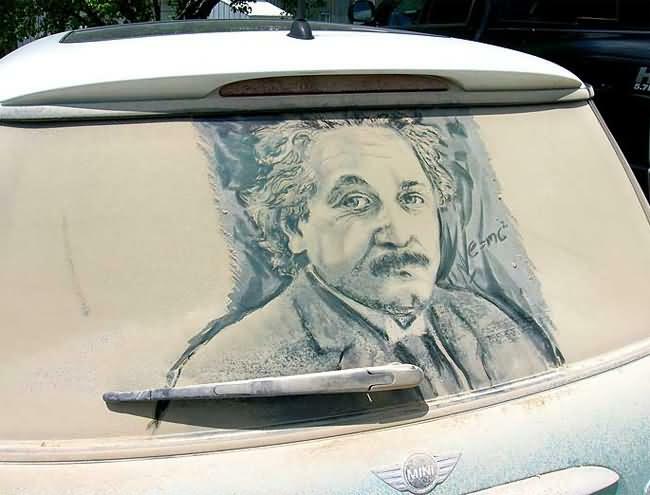 Answer is simple, his design tools are some brushes and dirty cars. 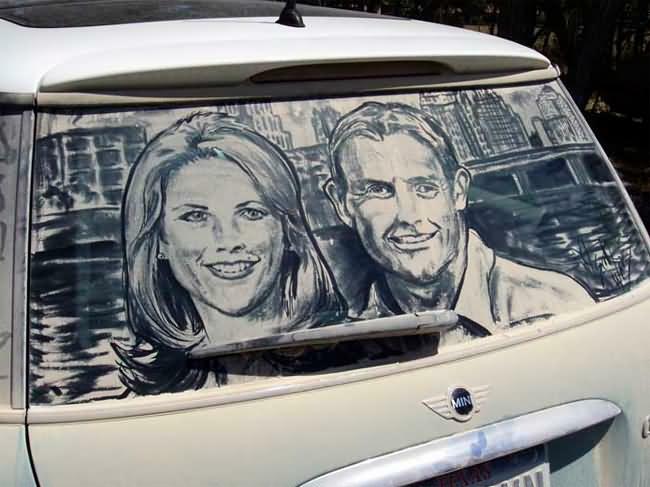 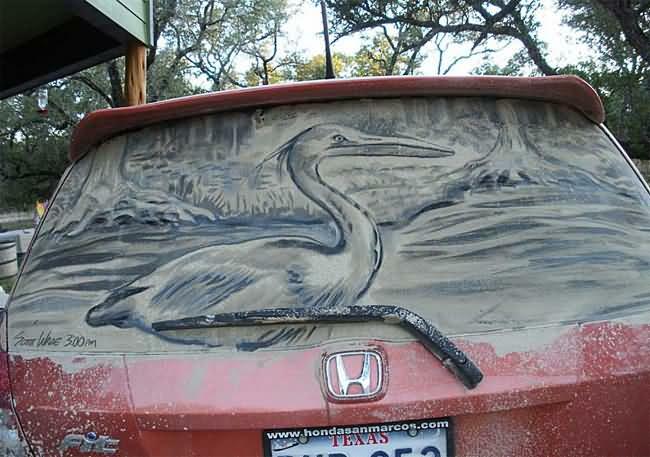 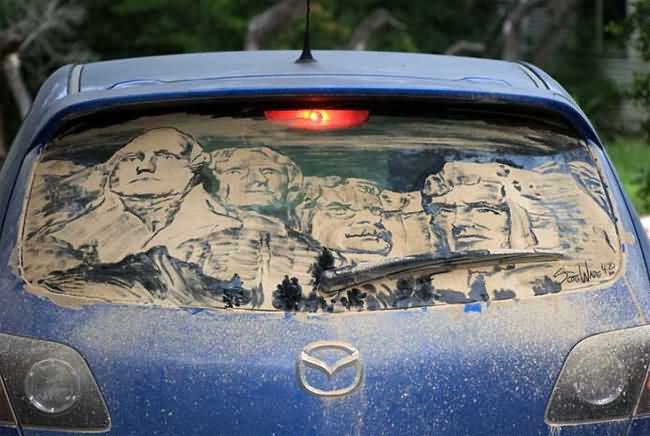 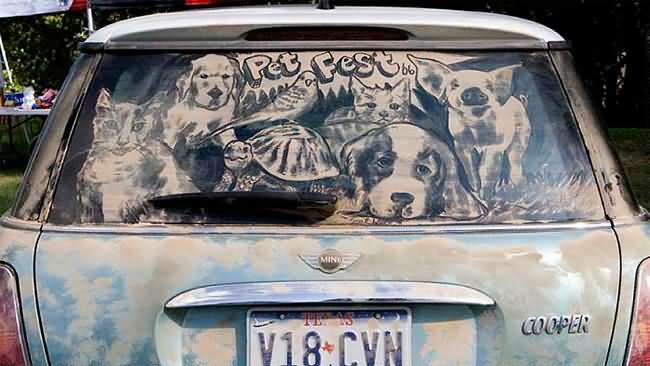 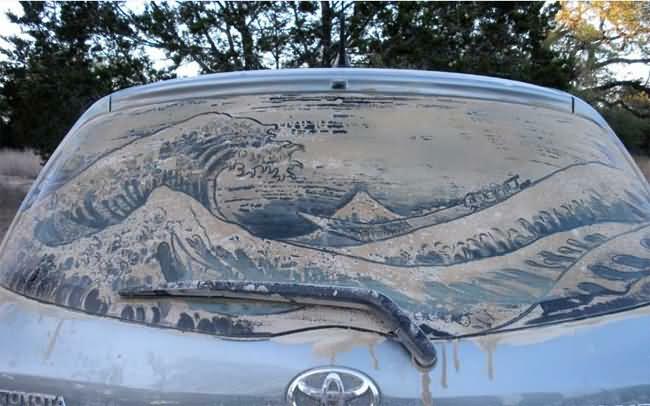 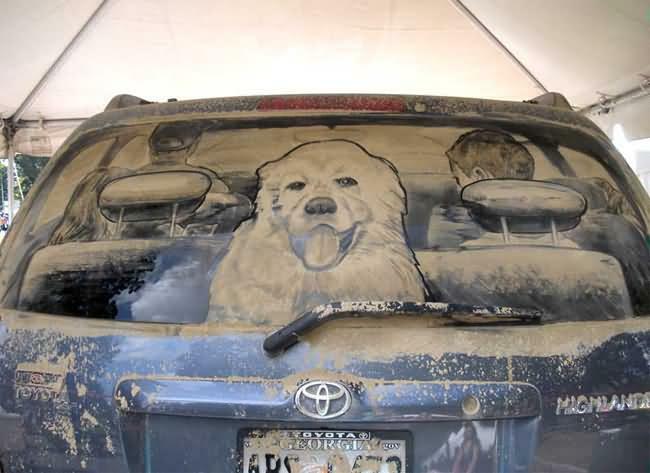 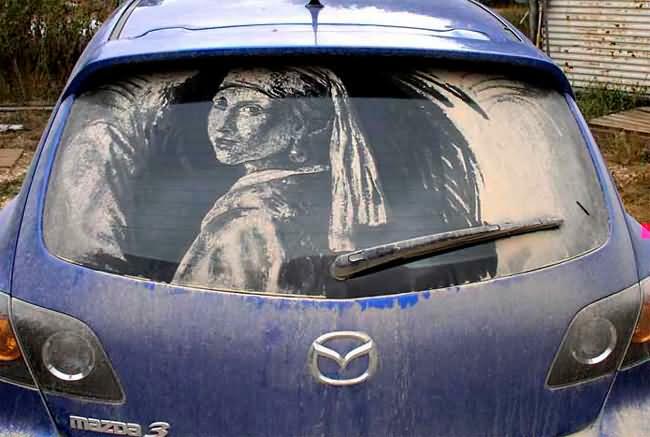 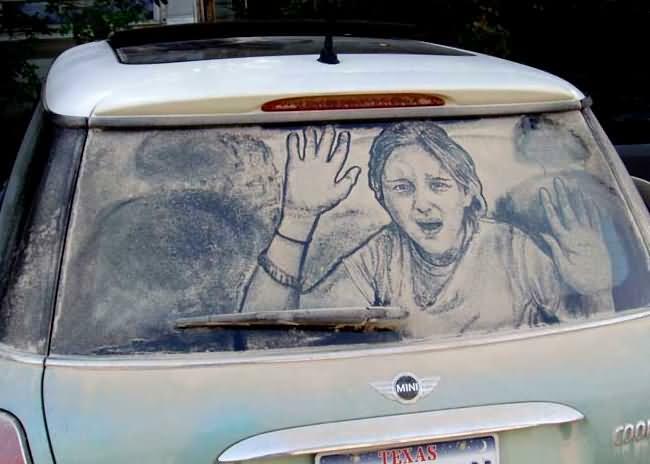 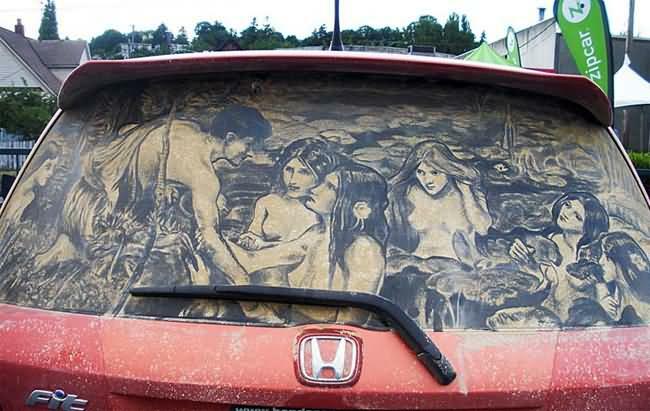 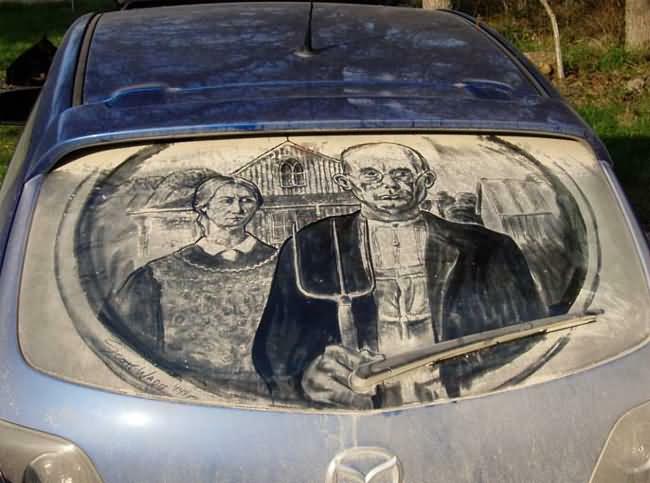 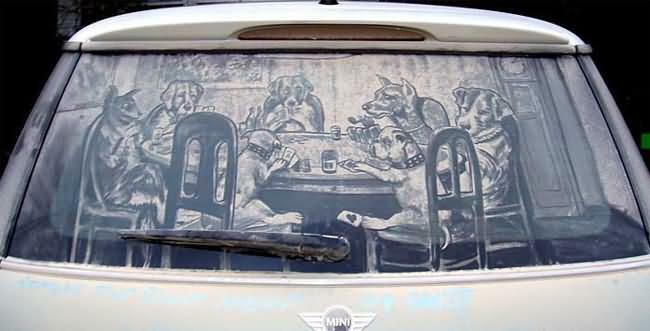 He create amazing artworks on dusty cars windows. 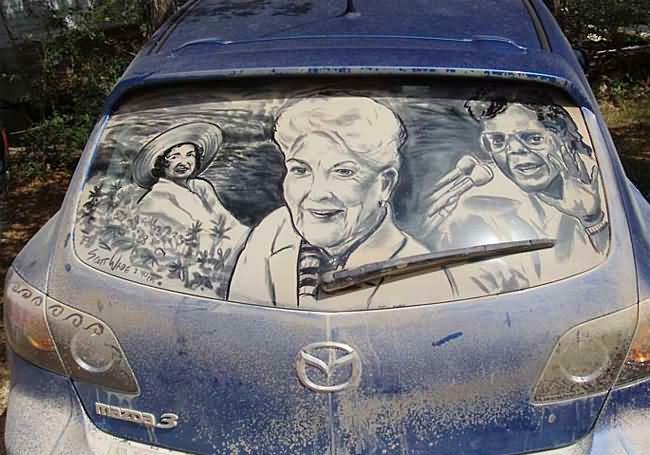 So if near you would be Scott Wade and your car is pretty dirty, on your window would be written Einstein, Mona Lisa or some other amazing artwork. 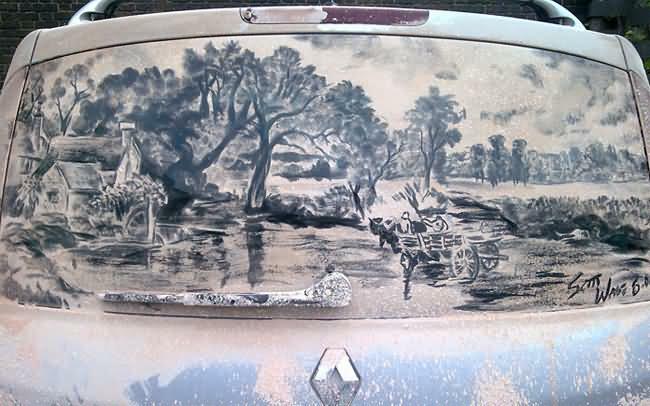 Scott Wade doesn�t drive his cars on a dirt track to get it dirty enough. 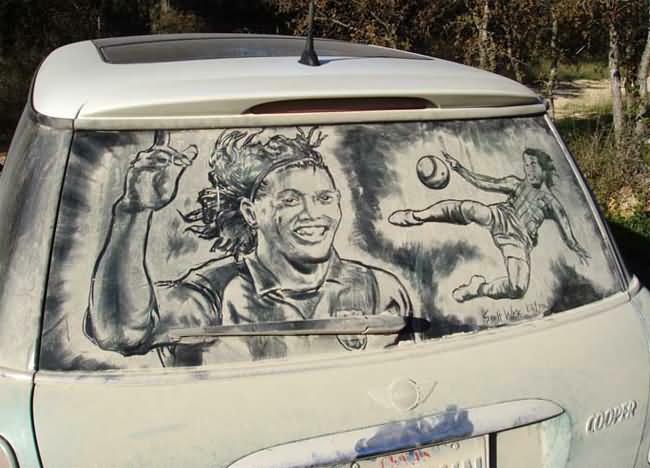 Instead he uses oil, a special kind of dirt and a hair dryer to spread it across the windows. 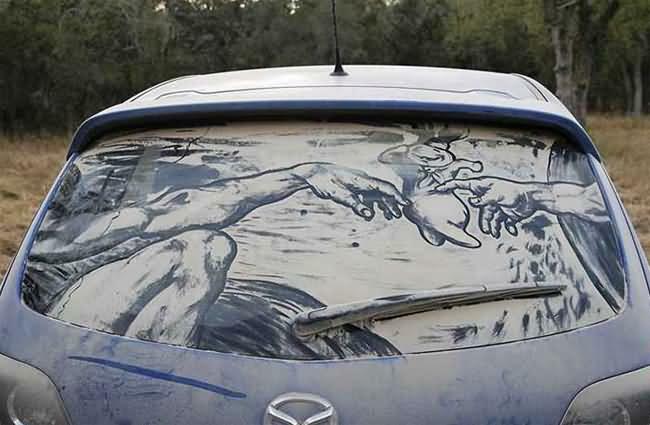 This takes him about 10 minutes, instead of seven days of driving through the dirt.